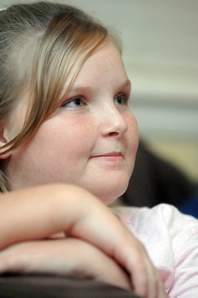 Jamie Leighanna Brooks, age 11 (who later changed her name to Katelyn Colbie Pendleton), was starved, beaten, and scalded by her caregivers, Kizza Monika Lopez and Melonea Feagin. Lopez had pulled Jamie out of school to homeschool her. It is unclear whether Lopez’s other children were abused. When she was 9, Jamie’s biological mother Velma Hare gave her to Lopez. Lopez and Feagin, her babysitter, whipped Jamie with plastic coat hangers, threw scalding water on her, alternatively starved and force-fed her, and made her sleep in a closet. An anonymous tip brought the authorities to rescue Jamie. Lopez and Feagin were convicted of child abuse. Lopez was also charged with neglect and sentenced to 20 years in prison; Feagin got 15. Jamie was adopted into the Pendleton family and changed her name to Katelyn.